This cool space wallpaper reveals the space shuttle Discovery is more complex, cramped, and altogether more awesome from the inside than imagined. And in 2011, NASA retired the orbiter – the oldest flying shuttle – to begin preparing it for display in a museum. 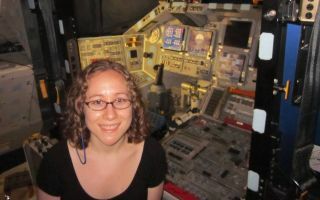 I was lucky enough to crawl around the interior of the storied spaceship at NASA's Kennedy Space Center in Florida. Discovery has already flown its last flight, so technicians are preparing the spaceship for retirement at the Smithsonian National Air and Space Museum's Udvar-Hazy Center outside Washington, D.C.